A table-top surgical Thulium Laser by Lisa Laser for soft tissue surgery, which unifies all the advantages of existing laser principles into one single unit. The RevoLix jr. laser operates in a continuous wave mode and cuts and vaporises circulated and white tissue without deep penetration or uncontrolled necrosis. With a wavelength of 2.0 micron, the absorption is 2.5 stronger than at the Holmium wavelength, providing even more precise cutting in soft tissue surgery. RevoLix jr. is the only table top laser specifically developed for soft tissue surgery. 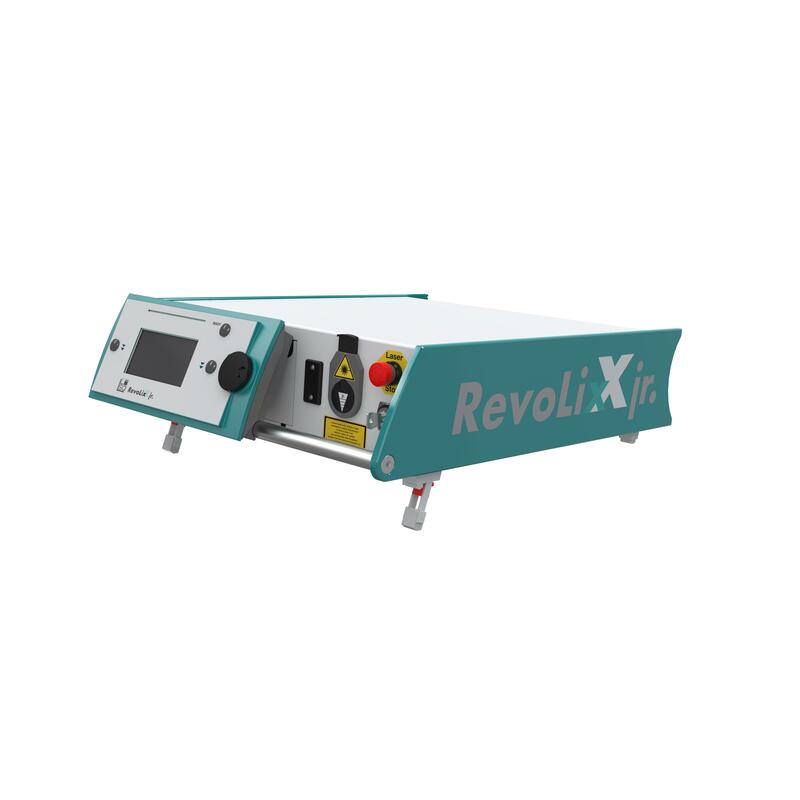 The RevoLix jr. laser wavelength is 2 micron. This wavelength is similar to Holmium but the emission is continuous instead of pulsed. RevoLix jr. unifies the advantages of formerly existing surgical laser principles in a single unit. RevoLix jr. Thulium laser shows outstanding tissue ablation rate, hemostasis and economics for the application in endoscopic, laparoscopic, minimally invasive surgery in ENT, pneumology, neurosurgery*, gynaecology, gastroenterology, urology, visceral surgery and laparoscopy.